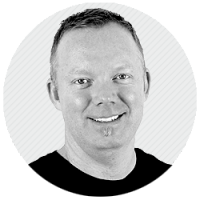 Responsible for day-to-day operations, James creates and executes growth strategies and initiatives designed to propel Thycotic to the next level. James has amassed over 25 years of managerial and sales experience in guiding technology companies to accelerated, sustained growth. Most recently, he served as EVP and GM of Unitrends, Inc., after serving as CEO of PHD Virtual, acquired by Unitrends in 2013. Previously, he served as VP of worldwide sales for Idera Corporation, and was VP of sales at NetIQ Corporation, having come there via the acquisition of PentaSafe Security Technologies, a remote access, vulnerability assessment and intrusion detection solution provider. Steve specializes in building comprehensive marketing programs that drive exceptional brand awareness and lead generation for emerging enterprise IT software businesses. 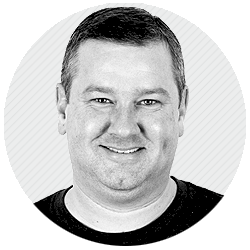 Currently Steve leads global marketing communications for Thycotic and oversees key messaging, technologies and executive strategy across all marketing programs. 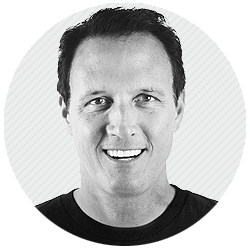 Most recently, Steve served as CMO at PHD Virtual through its acquisition by Unitrends in 2013. He also served as Senior Vice President of Global Marketing for Quest Software (acquired by Dell), and as CMO at The Planet (acquired by Softlayer), Bindview (acquired by Symantec), Postini (acquired by Google) and PentaSafe (acquired by NetIQ). Steve also was president and CEO of eSecurity, later acquired by Novell. With more than 25 years of experience at private and public companies, Nick is an accomplished financial and operational professional with extensive expertise in managing the finances of high growth technology companies. Prior to joining Thycotic, Nick served as CFO of Metalogix, a private equity-backed software company, and spent 11 years at Sourcefire, a network security firm, serving VP of Finance and Chief Accounting Officer positions. He helped guide Sourcefire from its early stages through IPO, and subsequent growth to its eventual acquisition by Cisco Systems for $2.8 billion. Nick holds a Bachelor of Science degree in Accounting from the University of Maryland at College Park, and is a member of the American Institute of Certified Public Accountants. Jonathan grew up in South Africa and began his software engineering career in London where he founded Thycotic in 1996, moving Thycotic headquarters to the United States several years later. Under Jonathan’s direction, Thycotic has rapidly grown into an innovation leader in privileged account management software, used by more than 180,000 IT administrators worldwide. 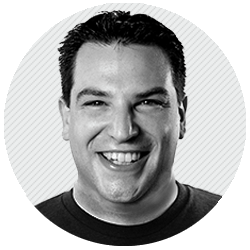 A champion of IT security, Jonathan has spoken at over 100 enterprise technology events, appeared on The Wall Street Journal Radio, Fox TV and has been featured in notable publications such as The Washington Post, CNET, Yahoo! Finance, PC Magazine and CSO. 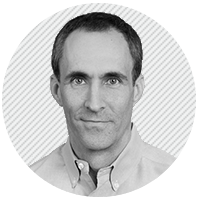 Responsible for leading a world-class sales organization in the Americas, Damon brings more than 20 years of experience in building and leading high performance sales teams in the enterprise software industry. Prior to joining Thycotic, Damon served as Senior Vice President of Corporate Development for Metalogix Software where he helped create and execute its overall go-to-market strategy as well as the integration of MetaVis Technologies (acquired in 2015) where he was the Vice President of Worldwide Sales & Marketing. He has also held senior sales management positions at Apptio, NetIQ, PentaSafe (acquired by NetIQ) and Idera Software (acquired by Metalogix & TA Associates). Responsible for building a world-class two-tier channel focused on delivering an unparalleled level of service to Thycotic customers, Simon is expanding Thycotics’s presence in the EMEA region and facilitating the growth of the company into new, strategic markets. 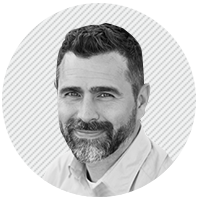 Before joining Thycotic, Simon served as Vice President and General Manager, EMEA at Qualys and Vice President EMEA, LATAM and APAC at Secunia, a developer of vulnerability Intelligence and assessment, and automated patch management software. He also spent more than 12 years at GFI Software holding various vice president roles across multiple business units at GFI in the Consumer, SMB, MSP and Enterprise space. He is a multilingual communicator with proven ability to lead teams that consistently achieve and regularly surpass commercial targets and corporate goals. Responsible for guiding Thycotic’s development team in the timely release of award-winning products, Jacob is passionate about delivering a superior customer and user experience. Calling on more than 12 years of experience in developing innovative products, he has most recently led the introduction of Secret Server Cloud, Privilege Manager for Windows and Mac and a host of free software tools that enable companies to assess and help protect their privileged credentials across the enterprise. 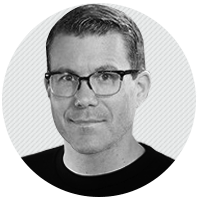 Prior to joining Thycotic, Jacob managed custom business applications through Fillmore Technologies and Solution Source, where he led the development of solutions for Nike, AAA, and Symetra Financial. Michelle is responsible for attracting, developing, and retaining the best professional talent in our industry, while building a culture of engagement and innovation to help power Thycotic’s phenomenal growth. Michelle began her career in accounting and finance, gaining large company experience at Coopers & Lybrand, and with MCI’s consumer finance team. After completing a Masters in Organization Development at Johns Hopkins University, Michelle led an HR/operations team at Arthur Andersen. 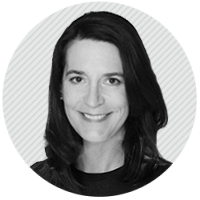 She has built an HR function from ground up at e-centives, led HR at Reston-based Chelsea Interactive through eventual acquisition, and has served as VP of HR at commercial real estate lender, Walker & Dunlop. 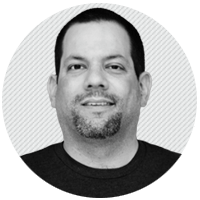 Responsible for leading best-in-class support, pre sales engineering, and packaged professional services, Tamir specializes in pragmatic approaches to selling, problem solving and creating lasting partnerships with clients. He brings more than 20 years of experience in software companies. 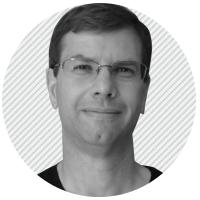 Prior to joining Thycotic, Tamir served as Vice President of Product Management and US Professional Services at ZyLAB, Director of Product Management at Metalogix, co-founded, and was CTO of thinkXML, later becoming CTO of Lexign (a 150 employee merger of thinkXML and 2 other companies), and spent 9 years at Microsoft in pre-sales engineering, solution sales, and partner alliance management roles. With more than 17 years of public and private sector IT and Security experience, Terence is responsible for protecting the company’s information assets. In his role, he currently leads a corporate-wide information risk management program. He identifies, evaluates and reports on information security practices, controls, and risks in order to comply with regulatory requirements and to align with the risk posture of the enterprise. 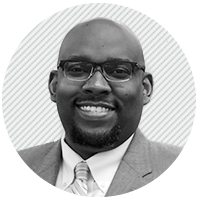 Prior to joining Thycotic, Terence was the Director of Cybersecurity and Professional Services for TSI, a Virginia based Inc. 5000 company. He has also worked as a Senior Security Consultant for Clango,Inc., a top Identity and Access Management(IAM) consultancy. He was featured in and also was a contributor to the book “Tribe of Hackers”. Bob Gagnon brings over 20 years of sales and marketing experience exclusively for the IT channel. 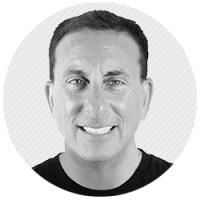 Most recently, Bob worked for Unitrends, Inc. where in the first three years he grew deal registration channel revenue by over 700% which led to the company pivoting to a 100% channel sales model. In addition Bob has worked for several leading channel partners, such as PC Connection and Tech Data, as well as high growth technology vendors Acronis, AVG Technologies , and AppAssure. Bob has been named as a CRN Channel Chief five times from 2010-2015. Bringing more than 30 years of support, training and customer success experience to Thycotic, Anthony is responsible for leading our award-winning, best-in-class support and customer success team. He specializes in building highly effective, worldwide support systems that emphasize customer self-sufficiency and facilitate long term client relationships. Prior to joining Thycotic, Anthony served as Vice President of Global Support at Metalogix software. He holds a Master of Science degree in Information Technology Management from Regis University. Jai Dargan is Vice President of Product Management, responsible for Thycotic’s overall product strategy, roadmap, execution, and end user experience. 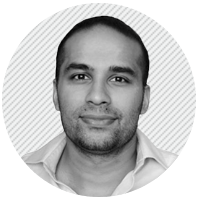 Prior to joining Thycotic in April of 2017, Jai worked in different product management roles at Metalogix Software, a Microsoft ISV, where he launched and led enterprise security and compliance products. Prior to Metalogix, Jai co-founded Pim Labs, a social-network security startup, acquired by Metalogix. Chris has over 20 years of software marketing experience, and as VP of Product Marketing helps define and drive marketing strategy, messaging & positioning, sales enablement, and marketing content creation. 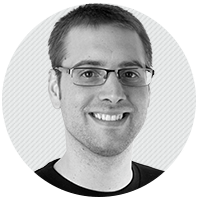 Most recently Chris was the CMO at Zenoss, a commercial open source software company based in Austin, TX. Chris has also held marketing leadership roles at Quest Software (acquired by Dell), Alert Logic, Bindview (acquired by Symantec), Postini (acquired by Google), PentaSafe (acquired by NetIQ), and BMC Software. Chris holds a BS in Electrical Engineering from Texas A&M and an MBA from Rice University. Joseph is responsible for cybersecurity research in the privileged access management industry accelerating Thycotic innovation and leadership positions. He is a cyber security professional and ethical hacker with more than 25 years’ experience in enterprise security specializing in blockchain, endpoint security, application security & virtualization and privileged access management. 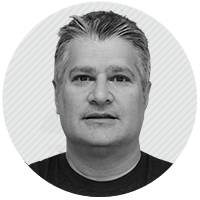 Prior to joining Thycotic Joseph worked on innovative blockchain solutions at Guardtime and spent more than 10 years in leadership roles at both Altiris and Symantec and Arellia. He is a Certified Information Systems Security Professional (CISSP) and an active member of the cyber security community frequently speaking at cybersecurity conferences globally. He is the author of Privileged Account Management for dummies and Cybersecurity for dummies. Insight Venture Partners is a leading global venture capital and private equity firm investing in high-growth technology and software companies that are driving transformative change in their industries. Founded in 1995, Insight has raised more than $10 billion and invested in more than 200 companies worldwide. Its mission is to find, fund and work successfully with visionary executives providing them with practical, hands-on growth expertise to foster long-term success. For more information on Insight and all of its investments, visit www.insightpartners.com or follow them on twitter: @insightpartners.